Senior Congress leader Shashi Tharoor, deep in controversy over his “Hindu Pakistan” remark, today fought back, asking if there was a “Taliban emerging within Hinduism now”. The former diplomat was expressing his outrage after the BJP and right-wing groups said he should be deported to Pakistan for his remark that India would become a “Hindu Pakistan” if the BJP returned to power in the 2019 Lok Sabha polls. 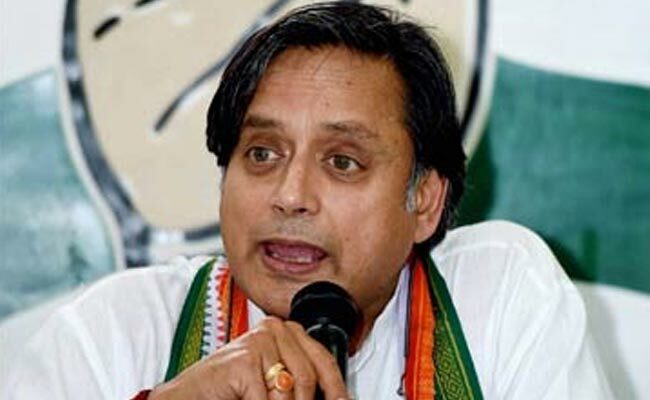 Mr Tharoor triggered outrage among the BJP ranks last week after he said if the BJP wins in 2019, they will “tear up the Constitution of India and write a new one”. “That will enshrine the principle of Hindu Rashtra, will remove equality for minorities, that will create a Hindu Pakistan and that isn’t what Mahatma Gandhi, Nehru, Sardar Patel, Maulana Azad and great heroes of freedom struggle fought for,” he said.